Our 2015 Global PR Agencies of the Year are the result of an exhaustive research process involving more than 400 submissions and face-to-face meetings with the best PR firms across North America, EMEA and Asia-Pacific. Analysis of all agencies in each category can be accessed via the navigation menu to the right or here. 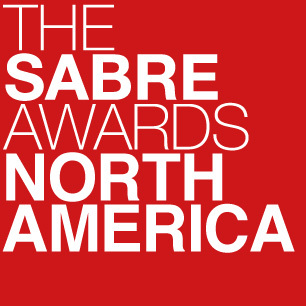 Winners were announced at the 2015 Global SABRE Awards, at the Global PR Summit in Miami on the evening of 28th October. With revenue up by about 15% last year (organic growth in the double digits again), Weber Shandwick continues to outperform most of its multinational peers. Its success is the result of a successful effort to combine a new operating system that includes robust research and analytics, the “incite” planning process, an “idea factory,” and content creation capabilities; focused specialization—it’s hard to identify a weakness, with consumer marketing, corporate reputation, public affairs, and healthcare all among the industry leaders; and a culture of genuine collaboration across both disciplines and geographies. That helped the firm retain all of its top 40 clients in 2014, and to generate new business from the likes of AB Inbev, Cargill, Exxon Mobil, Fannie Mae, GM, Mars, Novo Nordisk, and the US Army. Employee turnover at the top level was similarly impressive—leaders like Andy Polansky (CEO), Jack Leslie (chairman), Gail Heimann (president), Cathy Calhoun (chief client officer), and Sara Gavin (president of North America) have been together seemingly forever, and there were interesting new additions including Leslie Capstraw and Luca Penati from Ogilvy to lead the LA and Bay Area operations, and media and advertising veteran Joe Frydl as executive vp, strategic planning. The quality of the work is similarly impressive, from supporting the UN’s first #girlsummit against female genital mutilation and forced marriage to pushing the envelope in social media for pharmaceutical giant Novartis and its MS community Living Like You; from its work promoting Healthcare.gov and driving Obamacare registrations to its global #WishesForBaby campaign for Fisher-Price. Digital and social accounts for about a third of the firm’s revenue: its content machine produced 90 terabytes of content last year, while its paid media capabilities expanded to include advertising support for Covered California, Mattel and more. Cohn & Wolfe is not only the top performing public relations agency in the WPP family, it experienced the fastest US revenue growth among the large, full-service global agencies last year, with fees up by close to 16% — albeit from a smaller base than many of its peers. It picked up new assignments from Alcon, Novartis, and Pandora (beating out larger agencies in each case) as well as Margaritaville, Sanofi, Scientific Games, and United, while continuing its work for the likes of Bayer, Choice Hotels, Colgate, ExxonMobil, Footaction, Merck, Microsoft, Riddell, Samís Club, Sonic, and Tom's of Maine. Its performance during the year makes a strong case for recognition in the consumer and healthcare spaces, and its digital capabilities are expanding too. The work was even more impressive than usual, garnering 12 SABRE nominations (the only firms with more were considerably larger) for work ranging from the introduction of Air Optix colored contact lenses for Alcon to helping Exxon Mobil encourage young people to study engineering, from crisis management around an incident of racial insensitivity for Sonic Drive-In to launching a new tablet for Panasonic. No agency worked on more signature campaigns in 2014 than Edelman: the firm shared in a Cannes Grand Prix for its work on Chipotle; it supported CVS as the pharmacy chain made its transformative decision to abandon tobacco products; it worked with Dove Men+Care on a Fatherís Day campaign celebrating real dads; it helped Trojan parody 50 Shades of Grey to start a conversation about pleasure in the bedroom; and it helped Samsung Mobile break through at SXSW. All of that is the payoff from Edelman's investments over the past decade, including major investments in digital and social media across paid, earned, owned and shared media. The firm continues to lead the way in that arena, managing 950 communities on social platforms, and in 2014 acquiring United Entertainment Group, a company that gives Edelman clients access to sports and entertainment celebrities, properties and companies — expanding its content capabilities even further. Last year was extremely impressive in terms of business metrics: FleishmanHillard saw its revenues increase in the high single digits (among the best in the top 10), with impressive client retention (98 out of its top 100 clients) and around $170m in new business (including additions such as Jet Blue, Kellogg's, SAP, the US Olympic Organization, Volkswagen and Wal-Mart, and expanded assignments from Barclays, Barnes & Noble, Hallmark, Monsanto, and Samsung). Globally, FH now has 95 seven-figure clients. The quality of the work remains strong, with SABRE Award nominations for clients such as BMW (an Olympic sledding campaign), AT&T (continuing employee engagement work), the Illinois Department of Insurance (selling Obamacare in the president's home state), and Levi Strauss (a blend of sports sponsorship and CSR that saw the 49ers field covered with donated jeans). The firm also helped rally soccer fans around the US national team at the World Cup and supported Chevy as it turned a bungled interview during the World Series into a social media marketing opportunity. There’s a strong case to be made that Ogilvy Public Relations Worldwide is the best-performing agency outside the US right now. With fee income estimated at around $130 million as the result of 12 percent growth last year, Ogilvy Public Relations is still the number one multinational in the Asia-Pacific region, and Asia is still the number one region for the WPP-owned agency. With 29 offices in 23 cities, the firm has the largest footprint across the region, with its greatest strength in the Greater China market. The longtime market leader is also distinguished by a veteran leadership team that includes 30-year China hand Scott Kronick, now regional president and CEO; Debby Cheung, president of the Shanghai market for all of Ogilvy; and Southeast Asia president Andrew Thomas. Beyond that, the firm has a close working relationship with sister agencies Ogilvy & Mather and Ogilvy One, allowing it to offer genuinely integrated programs, and a formidable digital and social media practice under the [email protected] banner. And after stunning its bigger rivals to win Pan-EMEA Consultancy of the Year honours last year, Ogilvy PR continued its progress over the past 12 months, integrating the highly-rated Memac Ogilvy Middle Eastern operation to add the kind of regional scale that global CEO Stuart Smith so clearly craves. Ogilvy PR now weighs in at around $70m in EMEA, after growing by 33 percent in 2014 (although a good two-thirds of that growth came via the addition of Memac's Middle East and North African network).